We at ELV have thought long and hard about our withering critique of this place, and have come to a completely opposite conclusion. So scroll down a couple of posts and while you’re reading, consider what a great tourist attraction a “gourmet room” (circa 1975) would make. I am a huge follower of your website. I travel to vegas and other cities, and consider myself a big foodie. I just purchased your book. A couple questions that I have for you is have you been to max brenner at caesars yet? Or lakeside grill at Wynn? I would be interested on your reviews from both places. I just got married two weeks ago in Las Vegas at the Bellagio and had a wonderful meal at Prime. I also went to Max Brenner which is a solid chocolate shop. One question I have for you though is why are you so harsh about Cafe Martorano. I agree with you that they are a little dramatic, but I have had some very good meals there. There service is not always good and I understand it is not for everybody, but I had read where you said that Rao’s meatball was better which simply is not the case. Could it be that you think the owner is a douche, and that you totally disregard the food for that reason? Just wondering your thoughts on this, because I agree with many of your reviews, but this place is so much better than you give it credit for. I agree with Ryan, and if you don’t believe me, see the Veto Section in Eating Las Vegas. About 6 months later, a p.r. gal enticed us there, we ate more of those mediocre meatballs, some special “family” chicken dish (or something), some beef in an undistinguished marinara sauce, a bunch of oversauced pasta, and wine that was 15 degrees too warm. Steve Martorano may be the world’s nicest guy, but his add campaign is deeply offensive because it’s geared towards that fake, preening masculinity the goomba culture thrives on, and is an insult to anyone who loves good food made by hardworking chefs. When it comes to Italian food, all we can say…and all we have ever said is: To each his own, but if you consider there is a baseline of what constitutes decent Italian-American fare, Rao’s consistently rises above it, and Martorano’s is mired around the median. I defy you (and Max) to taste a Martorano meatball side by side with a Rao’s and not tell me Rao’s is better. Re Max Brenner: Max Brenner is about marketing, not chocolate. If you want good chocolate go to Payard Patisserie in Caesars….or try to find some of Frederic Robert’s creations at the Wynn/Encore. Thanks for reading and caring enough to write. I think you and I will have some dialogue in regards to food. In response to what you said about Martorano’s I also experienced the same thing when they first opened, such as being sent to the bar when the place is half empty, or the concept that they believed that alcohol ruined the way the food tasted. I agree all of that is BS, but a great food critic would look past all of the pr marketing of the place, and focus on the food.I also understand as you have stated in other posts that the decor does not define the food being served in a restaurant. Alot of people put stock into the decor of a restaurant and pretend to themselves that they had a good meal, when in reality they do not have the understanding or concept of what superior food is. I would definitely sit side by side with you the next time I am in town to judge who has the better meatballs of the two. I hope max comes along as well. Martorano’s is by far the better meatball. I have been to rao’s to form that conclusion for myself. In regards to your comment of the Rio? Puh leeze. What, do you forget about Napa under the direction of Jean-Louis Palladin? 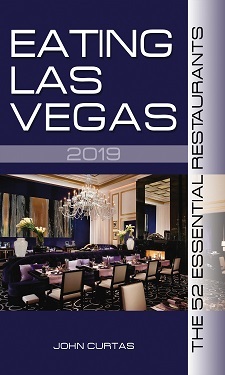 With that thinking you would believe that Wynn/Encore would have the best food, which in reality are mostly gimmick restaurants, with the exception of Alex and Sinatra. Stratta is weak, it was pretty solid when Stephen Kalt was at the helm when known as Corsa Cucina. I hd a phone conversation with Steve Martorano on friday, and told him that I really like his food, but hate the volume. I laughingly admitted I’m getting to old for that — pretty funny if you’ve ever seen the way I cling on to my fading youth. He laughed and said he was as well, and he’d recently decided to one everything down to a real restaurant volume until 10:00 pm. I’m going to visit soon and see if he’s a man of his word.